WASHINGTON — Wednesday is the deadline for filing income tax returns, a day long associated with the dread of rushing to fill out complicated forms and, perhaps, making a payment to Uncle Sam. But for most, it’s not that bad. Aside from the complicated forms, tax season generates $300 billion in tax refunds each year, a significant boost to the U.S. economy. 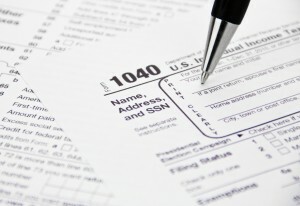 The IRS has received more than 99 million tax returns as of April 3, and about 78 percent of them have qualified for refunds. Average refund: $2,815. Last year, the IRS conducted the fewest number of tax audits in a decade, and the number could be even lower this year, said IRS Commissioner John Koskinen. This was the first tax season that regular folks grappled with the complicated connections between President Barack Obama’s health care law and the tax system. For about three-quarters of taxpayers, all they had to do was check a box on their tax return indicating they had health coverage for all of 2014. Left: Photo of tax forms by Flickr user kenteegardin/www.seniorliving.org.